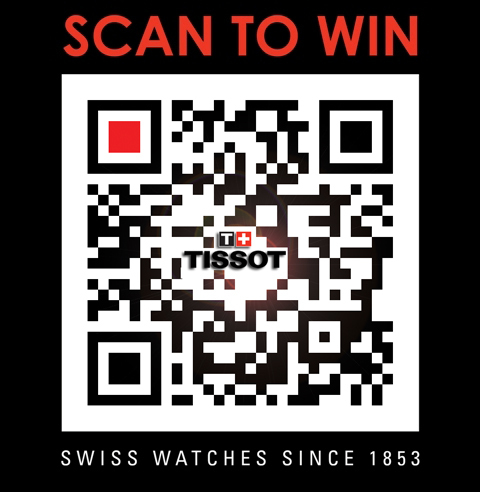 Tissot Swiss Watches has launched a "Scan To Win" QR code campaign with their retail partner Diamonds and Dials in New York City, powered by TAPPINN. The store is located at the crowded intersection of 34th st. and Broadway in Herald Square across the street from Macy's. The QR code is located on a 3ft X 7Ft sign outside of the store and resolves to a mobile landing page entry form where people can enter their name, email and state to win a Tissot PRS 330. In the history of retail signage, I would argue that there hasn't been a more interactive sign. 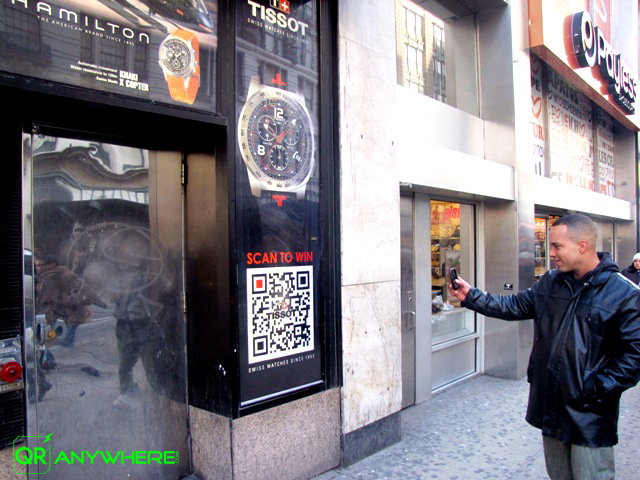 Tissot isn't new to awesome QR code campaigns. Click here for more. Great contest! I've been hearing more and more about QR code utilization. Everyone has the chance to win a watch from this contest or you can own designer watches without paying much. I wish I had heard about this contest way back! Tissot is an awesome brand, but I'm hooked on Cartier. Does anyone own the new Balloon Blue? It's the perfect hand watch. I personaly prefer Tissot watches.. is there a possibility this contest will happen again sometime in the future..?? ?